Absolutely Beautiful 5BR/ 4.1 BA Home on a gorgeous block & walking distance to 1+ rated Audubon Elementary! 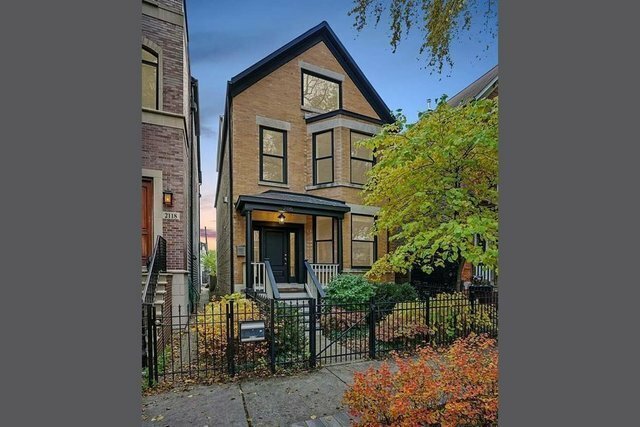 Charming 1896 facade w/ modern plumbing, electrical & finishes thruout. Main floor includes formal Living & Dining Rooms as well as a new, magazine- worthy Kitchen boasting a suite of Thermador Professional appliances: 6 burner gas cook top & extraction hood; wall- mounted double oven; warming drawer & a 48' counter- depth refrigerator. Brazilian White Macaubus stone counters over carpenter-made cabinets. Two steps down, a sunken Family Rm w/ a vented fireplace, opens to a large deck & a big back yard. 2 car garage. Three BR's up including a striking Master Suite w/ vaulted ceilings; treetop views; romantic fireplace; WIC & a large stone bath w/ frameless shower, whirlpool & dual vanities. SBS W/D on the 2nd fl. Bonus 3rd level offers a massive, sun- filled Great Rm, full bath & a 4th BR. Lower Level Rec Room w/ wet bar, 5th BR, full bath & a huge stg rm w/ built-in shelving.